Scandinavian designed slatted teak outdoor tables. 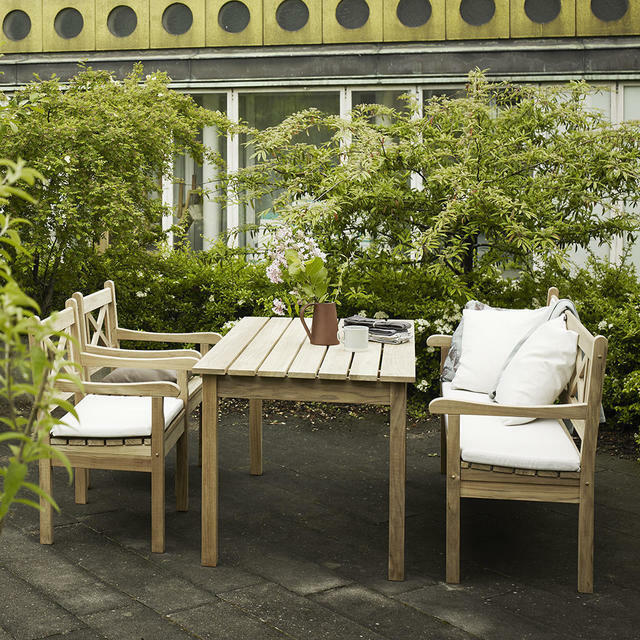 The Skagen collection is influenced by the traditional Drachmann style of outdoor furniture which is found in homes across the northern seaboard of Denmark. 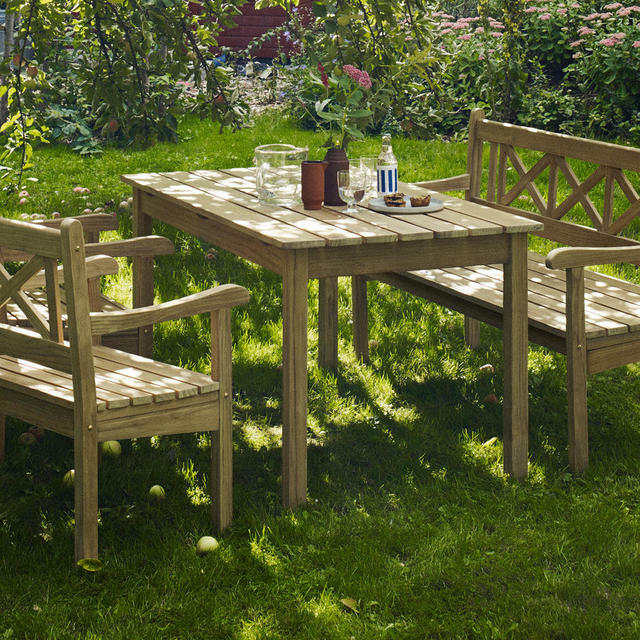 Mix and match the Skagen table with the Skagen bench and or the Skagen chairs. 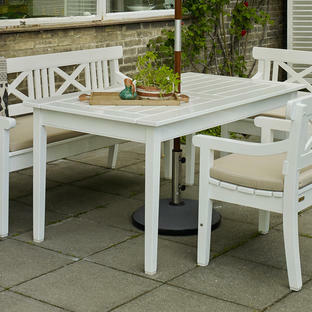 Try the tables with 2 chairs and a bench for relaxed informal seating. 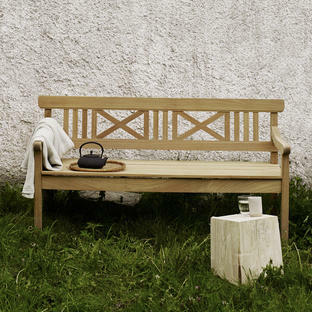 Made in natural teak which will gently weather to a silver grey patina. Teak is still far and away the best type of wood for garden furniture. 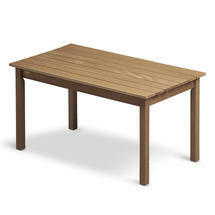 The wood is strong, stable and very easy to work with. The table will seat 4 to 6 people.